Ladder, Haven Life and Atidot are among the life insurance companies planning to announce their latest innovations during the third annual InsureTech Connect (ITC) conference in Las Vegas on Oct. 2-3. 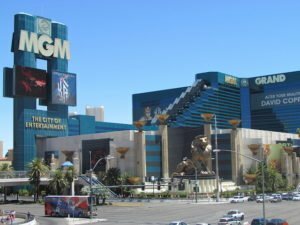 The event, which will be held at the MGM Grand Las Vegas Hotel and Casino, will bring together more than 6,000 attendees and 250 speakers, representing top insurers, reinsurers, regulators, entrepreneurs and investors. It is the world’s largest insurtech event, offering access to the most comprehensive gathering of tech entrepreneurs, investors and insurance industry incumbents from across the globe. Founded by Jay Weintraub and Caribou Honig in 2016, ITC has grown into an event that will feature representatives from more than 50 countries worldwide. Among this year’s featured speakers are Lloyd’s of London CEO Inga Beale, Lemonade Co-Founder and CEO Daniel Schreiber, Uber Global Head of Insurance Curtis Scott, AIG Global Head of Cyber Tracie Grella, and MetLife Chief Digital Officer Greg Baxter. Here’s a closer look at what some of the life insurance-focused insurtech companies will be up to at the event. Ladder CEO and Co-Founder Jamie Hale will be unveiling some of the company’s upcoming initiatives at InsureTech Connect, the company announced recently. Since its launch in 2017, Ladder, the company that says it is “reinventing life insurance to be instant, simple and smart for today’s consumers,” has demonstrated accelerated growth, introducing groundbreaking, “first of their kind” innovations. The initiatives Hale will reveal, the company says, will further demonstrate the power of the company’s technology-first, consumer-centric approach to life insurance, and build upon the industry-wide innovations that Ladder has introduced to-date. Ladder claims to be the first company to move beyond manual and accelerated underwriting to offer truly instant, fully underwritten life insurance policies. Because Ladder utilizes algorithmic underwriting that incorporates hundreds of data points to fully assess the risk, the company is able to provide most of its customers an offer in less than 15 seconds. In fact, the company is often able to deliver decisions as little as “429 milliseconds” after a customer submits an application. In April 2017, Ladder introduced “dynamic life insurance,” which the company says is a first-of-its-kind functionality that allows consumers to adjust their life insurance policies at any time, based on the changing needs of their lives. To make this possible, Ladder created a proprietary policy management system that enables customers to “ladder” their policies (apply to increase or instantly decrease their coverage) at the touch of a button, all online, 24-7, which was another first in the industry. Another milestone was the company’s launch of the Ladder API in January 2018, a seamless integration that enables companies to offer Ladder’s capabilities to their customers. The launch of the Ladder API, the company says, demonstrated a compelling example of a paradigm shift in the fundamental way consumers access, gain information on and engage with life insurance. Ladder deploys code on average of 13 times a day – with more than 10,650 enhancements to the codebase already in production – using its technology and data to continuously improve the process and accelerate the speed of obtaining life insurance. This revolutionary data-centric approach has gained the company industry recognition, including: Fast Company’s Most Innovative Companies in Finance, Best InsurTech Company by the FinTech Breakthrough Awards, a Celent Model Insurer Award in the Innovation and Emerging Technologies category and inclusion in the Forrester Life Insurance Wave: Q2 2018 report. Haven Life, an insurtech startup wholly owned by MassMutual, is also scheduled to make a new announcement at InsureTech Connect. Haven Life Plus is a rider to the Haven Term life insurance policy that “helps policyholders live healthier, fuller and more protected lives,” according to an Aug. 15 press release from Haven Life. In February 2018, Haven Life surveyed policyholders to find out what benefits would appeal most to them. Eighty-three percent said they would use a free online will service if it were made available to them, 66% are interested in a digital vault for storing important documents, and 75% said they would be open to innovative wellness services like an at-home DNA test. A digital solution for creating legal wills for you and your partner at no charge through Trust & Will (a $129 value.) The service also includes a healthcare power of attorney and directives. A secure online safe deposit box for storing, managing and sharing your family’s important documents at no cost through LifeSite (normally $80 per year). A discount for an innovative and actionable at-home health test that determines how well you are aging (or not) based on the length of the protective caps on your DNA strands through TeloYears ($30 for policyholders; normally $99). A 15% discount voucher for family health services at MinuteClinic, inside CVS Pharmacy and Target stores. The team at Atidot has been busy preparing for InsureTech Connect, which will be marked by various speaking slots including a joint workshop with Microsoft entitled “How to successfully integrate with a Start-Up,” scheduled for 3 p.m. on Oct. 2. For the first time ever, Atidot will be taking its product on the road and is inviting ITC attendees to demo the system and see how Atidot can maximize the profit on in-force life insurance business. Atidot’s goal is to discover underlying customer behaviors and connect the dots so that insurers and agencies using analytics can see more than just the number of life insurance policies under management, or who has them. Going beyond strictly transactional data will tell you how many policies and policy holders you have—and by aggregating this data with unstructured, big data such as the geographical locations of clients, what they do, their interests, recent life-changing events (such as a marriage or a child), etc. In this way you begin to understand more about the clients you sell to — or try to retain. And with digital transformation happening so rapidly today, Katsav said insurers and agencies can have a hard time keeping up or can get overwhelmed. That’s where an outside company that specializes in a very specific area can step in and help. For more information about InsureTech Connect, visit www.insuretechconnect.com.